Egyptian temples played a major role in ancient Egypt acting as the house for the gods on earth, therefore having tremendous religious importance and a vital place in society and day to day life. Some temples were even dedicated to the Pharaohs! A variety of rituals were performed at these temples, namely offerings to the gods and festivals which often involved a substantial number of people and resources. 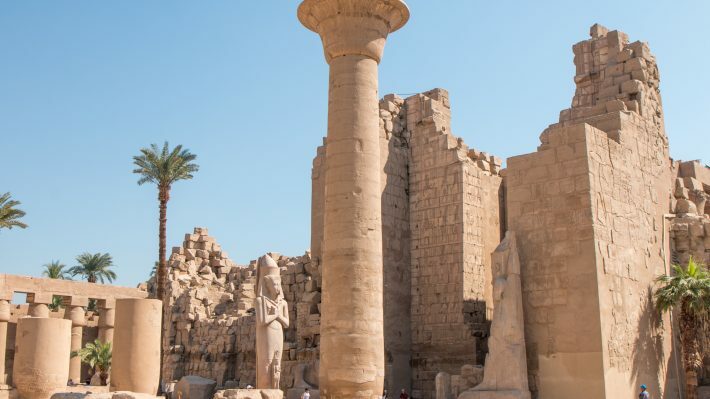 Fortunately for us, nowadays some of the temples in Egypt are still standing, albeit in different states of conservation, and visiting them is one of the best things to do while in the country as they are truly incredible monuments. Due to their importance, many have been recognized by UNESCO as World Heritage Sites. 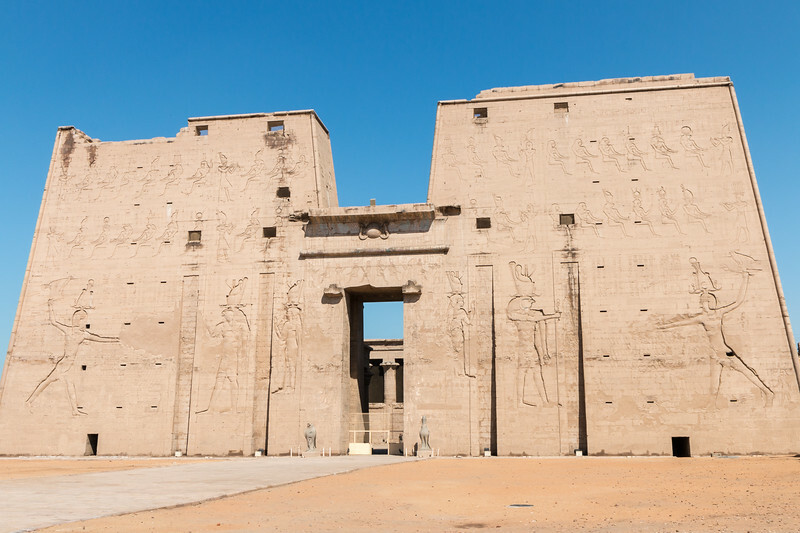 Keep on reading to discover 6 must-visit temples for your next trip to Egypt, plus a video! 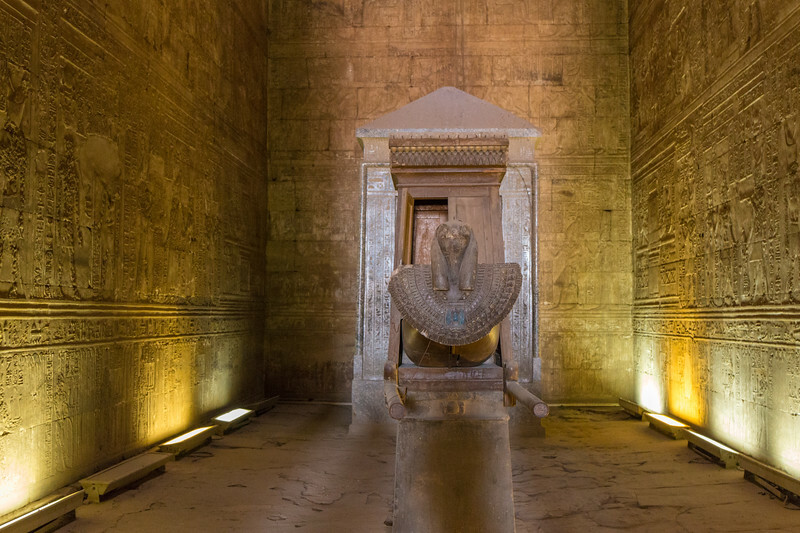 Deep in Southern Egypt, close to the border with Sudan and on the banks of lake Nasser, lie the Abu Simbel temples, two incredible rock cut temples created during the reign of Pharaoh Ramesses II, in his honor and queen Nefertari’s. As you can imagine, the temples are nothing short of incredible. The 4 colossal 20 m tall statues of Ramesses II that stand guard at the main temple are a great example of the level of detail and dimensions some of the temples in Egypt have. This temple is also dedicated to the gods Amun, Ra-Horakhty, and Ptah, while the smaller one is dedicated to Hathor. Another interesting fact is that the temples were moved piece by piece in the 60’s in order to avoid being submerged by the rising waters of lake Nasser after the creation of the Aswan dam. 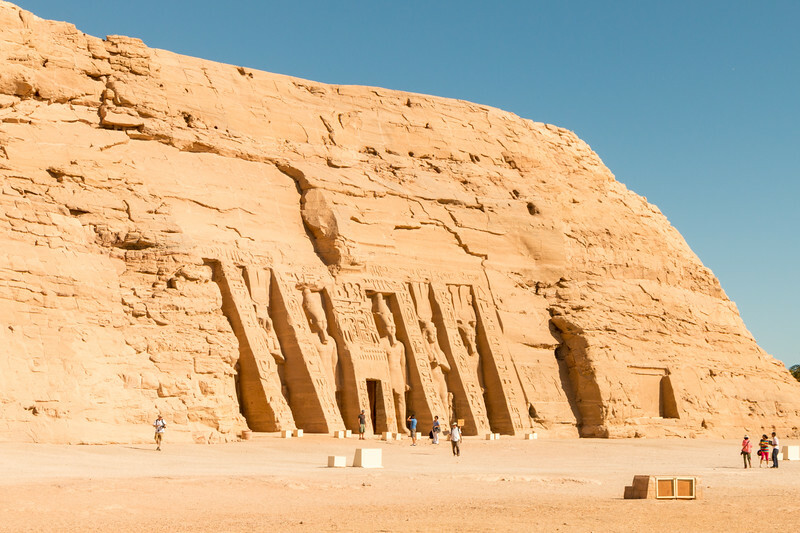 Read more about Abu Simbel. The island of Philae and its temples were also affected by the construction of the Aswan dam which led to them being dismantled and rebuilt at the nearby Agilkia island. 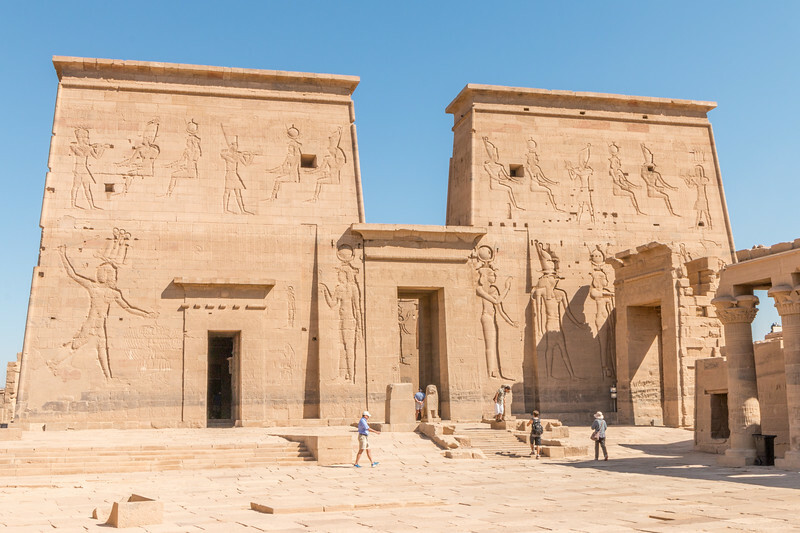 Just like Abu Simbel, it’s hard to believe that the Philae temples are not at the original location and how incredible of an achievement it was to relocate them. 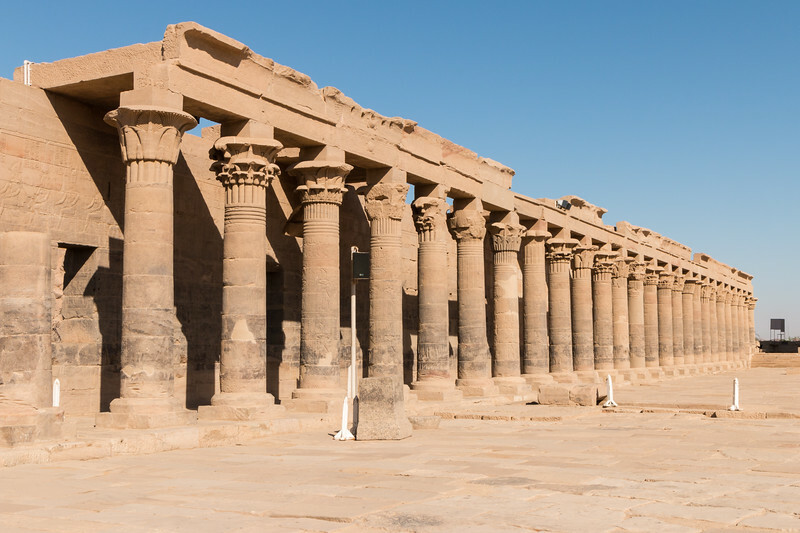 The main temple at Philae is dedicated to the goddess Isis and is quite impressive with colonnaded courtyards, two pylons, and many more intriguing details. The island also has other temples that were built over the years not only by the Egyptian Pharaohs but also by the Greek and Romans, which significantly contributed to the growth of Philae. Philae is located close to Aswan and you need a short boat ride to the island, which gives the opportunity to get a different viewpoint of the various temples on the island. The temple of Edfu is a massive Egyptian temple dedicated to the falcon god Horus, coming second only to Karnak in size. Compared to other temples in Egypt, Edfu is unquestionably one of the best-preserved and packed with features that make it a must-visit, namely the highest pylon of all temples in Egypt at 37 m tall, a colonnaded courtyard, a roofed hypostyle hall, and some of the most detailed rooms and walls we’ve seen. All of this took around 200 years to build! Due to its location which is slightly off the beaten path, Edfu was empty when we visited and for such an extraordinary temple, it’s difficult to understand. Luxor has an incredible concentration of monuments and is often referred to as the world’s largest open-air museum. And for a reason, three out of six temples we recommend visiting in Egypt are located in and around Luxor. Karnak is the largest temple complex in Egypt and one of the country’s most popular tourist destinations, right after the Pyramids. It’s a huge complex with 3 main temples precincts and several other smaller temples, and visiting it is a very overwhelming experience due to the incredible history and extent of the place. Karnak’s most famous and impressive feature is the hypostyle hall with its 134 massive columns spread over 16 rows, but that’s not all, you can also see the obelisks and the sacred lake, among other things. It took many centuries and a good number of Pharaohs to build Karnak. The result was in part what you can still see today, a massive complex dedicated mainly to Amun and one of the mandatory stops of any trip to Egypt. Luxor Temple is located right in the center where modern-day Luxor is, the former place of the ancient city of Thebes, on the east bank of the Nile. The temple was the worship place of the gods Amun, Mut and Khonsu and was also famous for hosting the Opet festival, during which the statue of Amun traveled in a parade from Karnak to Luxor Temple through the avenue of sphinxes that connects the two temples. 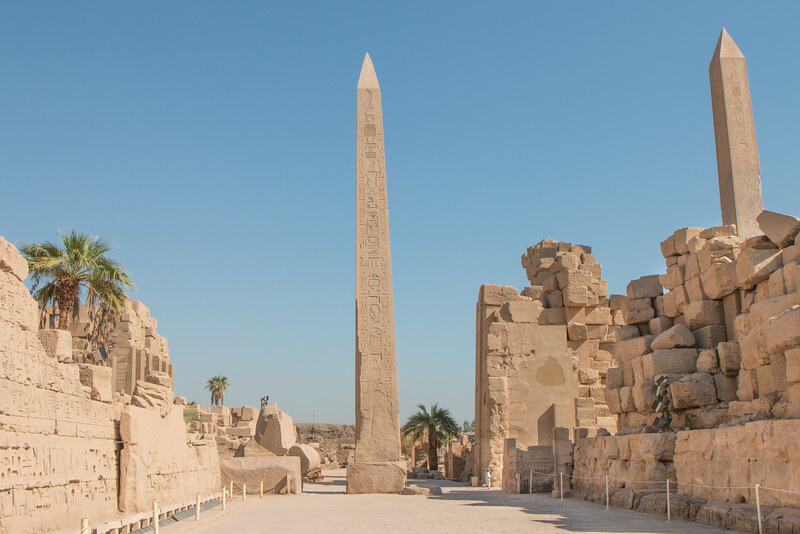 Despite not being as popular or as big as Karnak, Luxor Temple is also worth visiting with many columns, big statues, and an obelisk that deserve to be seen. 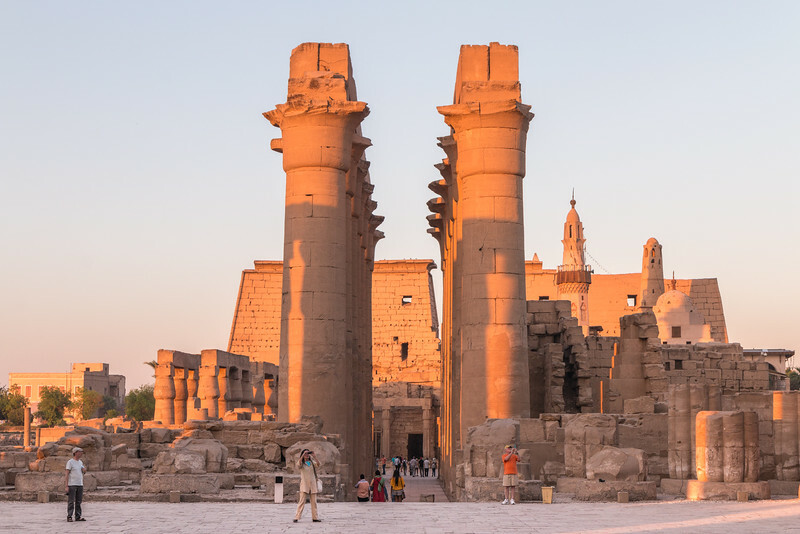 Spending a couple of hours exploring Luxor Temple during late afternoon is a great idea to end a day of sightseeing in Luxor. 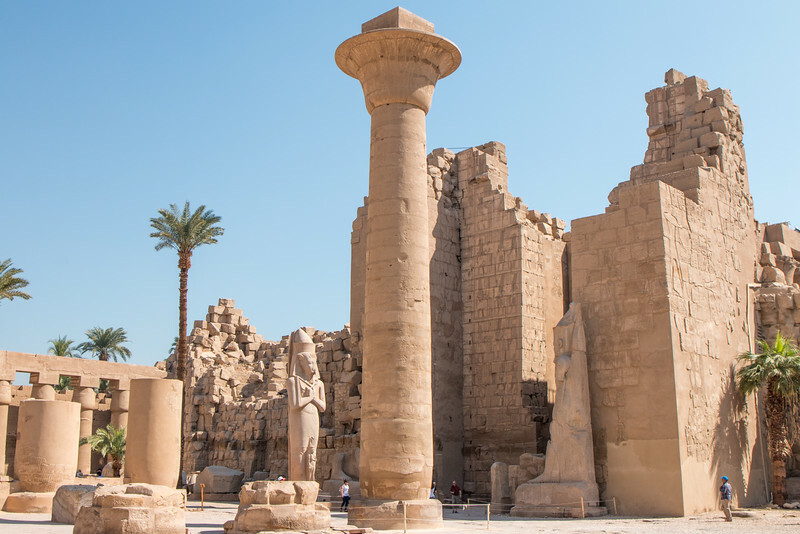 Read more about Luxor Temple. 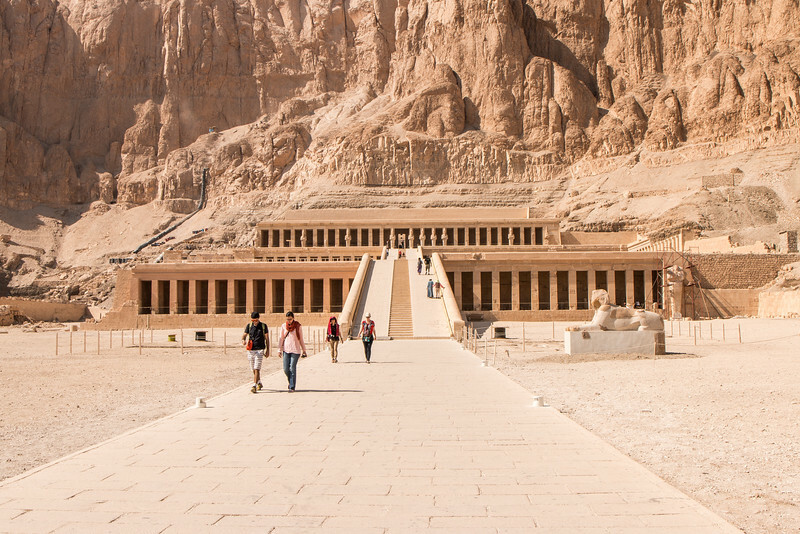 Hatshepsut was one of the first female Pharaohs of Egypt and her temple is the highlight of a complex of 3 mortuary temples known as Deir el-Bahari, which was built at the bottom of a steep cliff face and therefore creating a spectacular background scenario. Plus, it’s located very close to the Valley of the Kings, on the west bank of the Nile. The Temple of Hatshepsut is in an impeccable state due to extensive renovations that took place last century, and its terraces with ramps certainly make it look and feel unique. Definitely one of the must-visit temples in Egypt. Read more about Hatshepsut’s Temple. 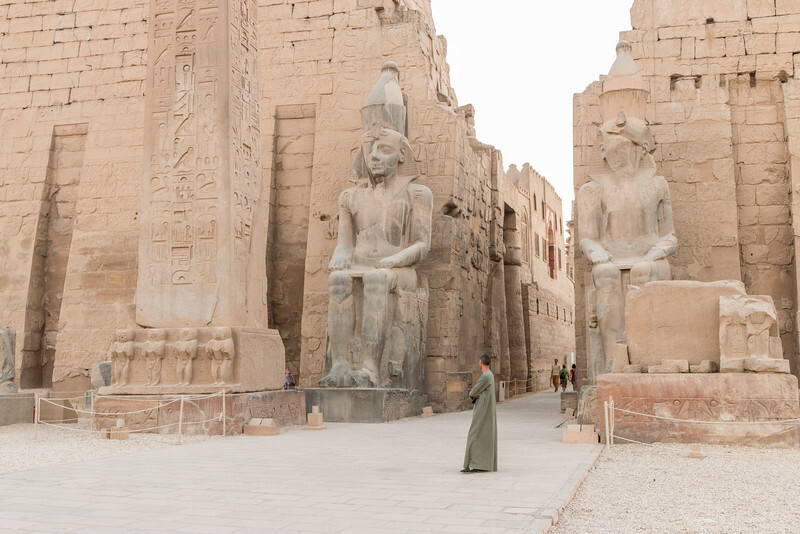 6 must-visit temples in Egypt – the video! Planning a trip to Egypt? What’s your favorite temple? This is just salt in the wound! When we lived in Europe (MUCH closer to Egypt than the US), it was one of my top “musts” but due to our current jobs, travel to Egypt was actually restricted and not allowed for a good portion of our time abroad. Sigh….one day! That’s a shame! Hope you make it there one day. Great overview! The video was awesome, thank you for taking the time to create it for us. I would love to tour the temples and have started a list, bookmarking this!. I’ve been so tempted to write a post about my trip to Egypt, only because it was so long ago and so whirlwind that I think I’d learn more by revisiting it, than by actually visiting it! This is inspiring because it’s bringing back memories of Karnak, Luxor and a few other destinations. I found Karnak quite strange and riveting, and Luxor was gorgeous. It’s never too late to write about it! We loved the temples when we visited Egypt. They are definitely one of the best things about the country. I think my favourite was Kom Ombo, but they were all fabulous. Great choice. They’re all magnificent! These temples are incredible. Thanks for the reminder there is so much more to Egypt than the pyramids! I love old sites like these – they give such an insight into life in years gone by – it’s like being a part of history! Indeed! People often think Egypt is only about Pyramids yet there’s so much more! I was in Egypt in January and has the most amazing time. My favourite was Abu Simbel but all of them were just incredible! 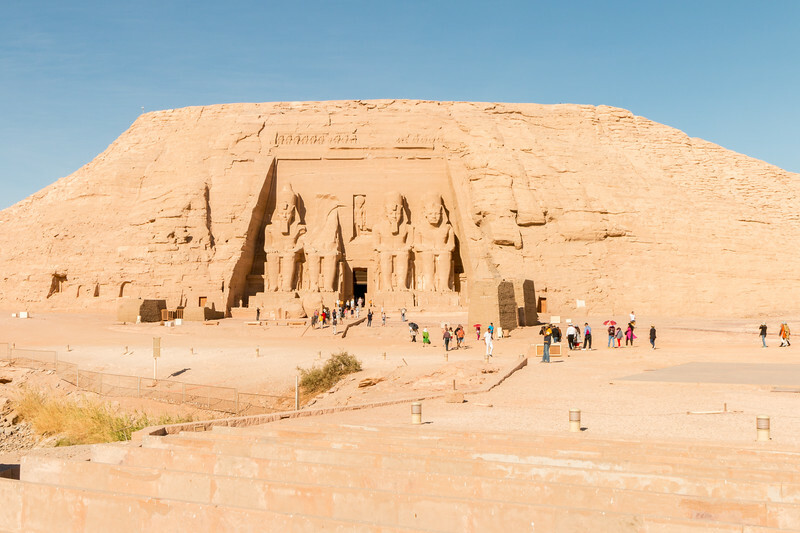 Abu Simbel and the story behind is quite incredible! Egypt always was very attractive to me… The culture and history is so much interesting. I really must go there and visit this beautiful temples of the post! A perfect fit for you! Now you took me back in time! I visited these temples a long time ago and fell in love with them, especially Abu Simbel and Karnak. Unfortuntely I didn’t make it to Edfu, so I still have reasons to go back. Great one! Great to hear, Pedro! Egypt really is wonderful. Going to Egypt is on the top of my bucket list. I watch documentaries and read books all the time about Egypt and it’s temples, so they would definitely be the highlight of my trip. 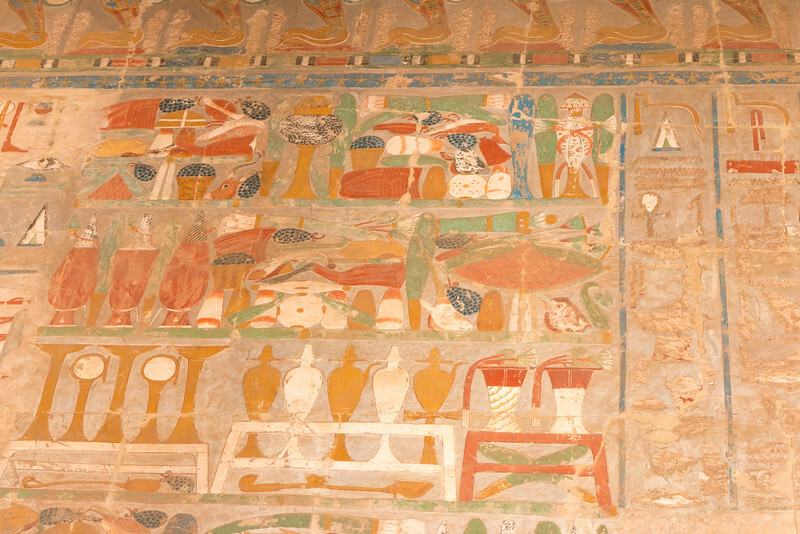 I’d especially like to visit Hatshepsut because you can really get a good picture of how colorful the interiors of temples are, thanks to their renovations. Clearly the place you must visit next! We’ve also watched quite a few documentaries about Egypt. Fascinating. It’s very calm over there right now. Just perfect for a good value trip! Your pictures are beautiful! I have not been to Egypt, but you definitely make it enticing. I would love to go check out those temples. What a cool part of history to experience! It’s one of the most amazing places in the world to see and learn about history. I’m planning a trip there but I’m worried I won’t be safe… Nice pictures by the way. You’ll be fine. Tourism is picking up again and they take safety seriously at the important sites. Thank you, loved your article and pictures. We’re going to Egypt in January for two weeks and will see all these sights. Can’t wait. Does anyone use an umbrella to shade from the sun? Don’t recall seeing anyone but that shouldn’t be an issue. As an alternative, a brimmed hat works quite well.